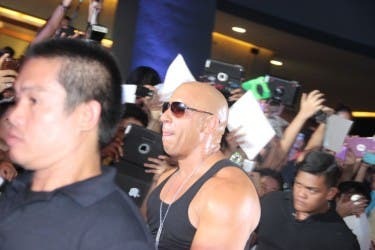 Hollywood action star Vin Diesel delighted his Filipino fans during the meet and greet in the Manila premiere of his latest movie "Fast & Furious 6" held at the Music Hall of SM Mall of Asia on Wednesday, May 15, 2013. 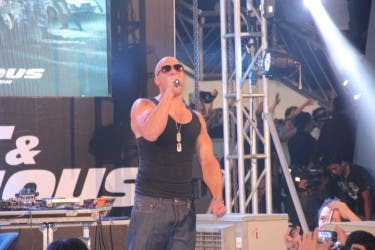 Diesel greeted his Filipino fans in tagalog right after he walked the red carpet. “Mahal ko kayo. I love Manila. I love you all so much. We are so proud to do the first Hollywood premiere here in the Philippines,” he said. The action star even said that Manila is the best place he’s ever been. “I can feel the love from you. I think this is the best place I’ve ever been to in my life,” he told the screaming fans. 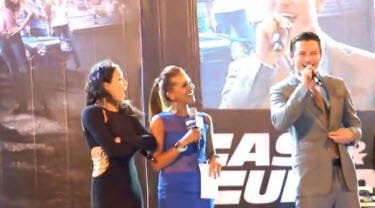 Aside from Diesel, other cast-members of the movie like Michelle Rodriguez, Gina Carano and Luke Evans also graced the event to promote the 6th installment of the franchise. Manila has been chosen to be part of a world tour that includes stops in other global cities including London, Seoul, and Cabo San Lucas. This is the first time that the Philippine capital gathered foreign press to promote a Hollywood Movie. 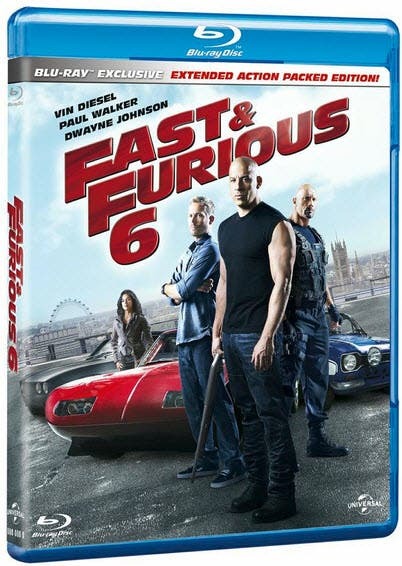 “Fast & Furious 6” is set to open in theaters nationwide on May 24.